Thank you to the Empowered Arab Sisterhood for hosting an amazing fundraising dinner to support educating Syrian children in Lebanon. It has been a pleasure working with Raghad and her sisters over the past year. Thanks to our work together on AfghaniSTEM Glocally Connected received the award for Collaborative Program of the Year from the Middle Eastern Student Association. 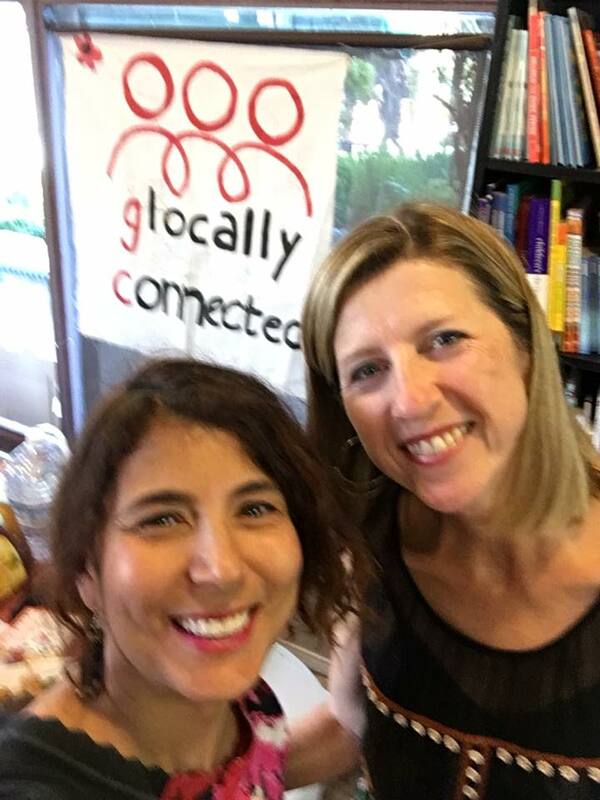 Join us on Wednesday, May 23 at 6pm to learn more about we're doing locally with Glocally Connected and to hear keynote speaker, Amela Puljek-Shankthe, Area Director for Europe and Middle East for MCC. 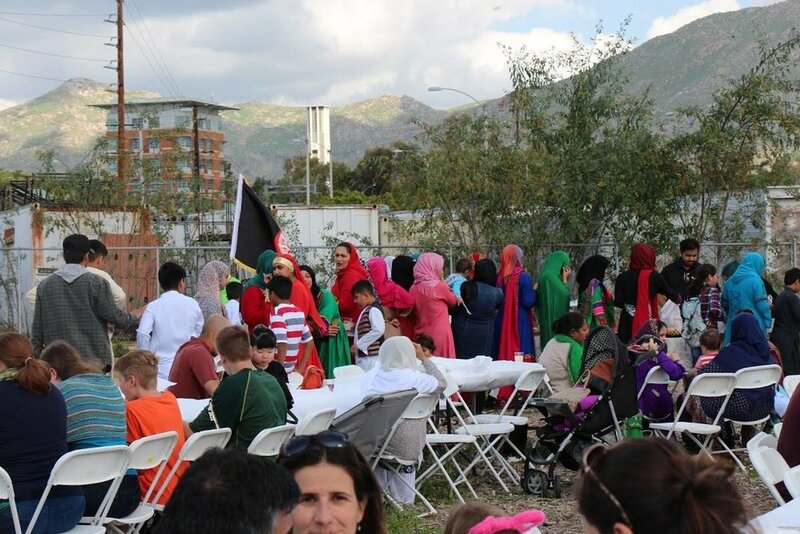 "Taste of Afghanistan" will be serving dinner at sunset. Please RSVP. Hope to see you there. 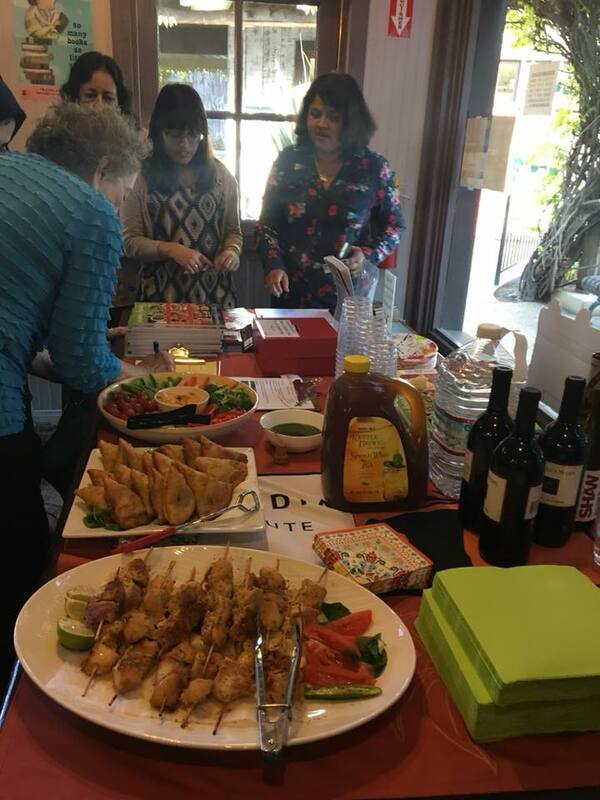 The celebration of NooRoz (the Persian New Year) seemed fitting as Spring had arrived in Riverside. Thank you to R'Garden for opening the community garden for us to enjoy. 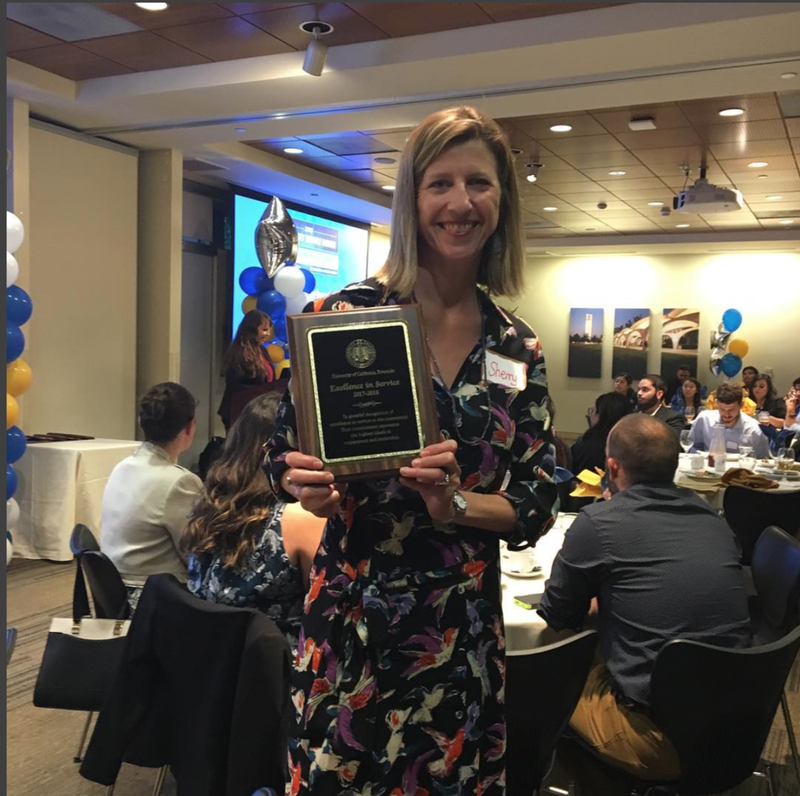 A special thank you to Deborah Paggliacia from UCR's CAFE and Global Food Initiative for coordinating this event and bringing so many people together. Also, Rohan and other volunteers from Highlander Chef, Audrey from Science Ambassadors and Evelyn representing R'Garden. And, of course, a huge thank you to our wonderful Afghan families for sharing this holiday with us and their delicious food. Please join us for a reading and presentation of Taste of Afghanistan, a cookbook which features recipes, illustrations, and poems written by Afghan refugees in the Inland area: women who have spent the past two years in English language classes offered by the non-profit Glocally Connected, and their children, who with the help of graduate student tutors and volunteer art instructors from the Riverside Art Museum, created art and writing centered on "recipes". 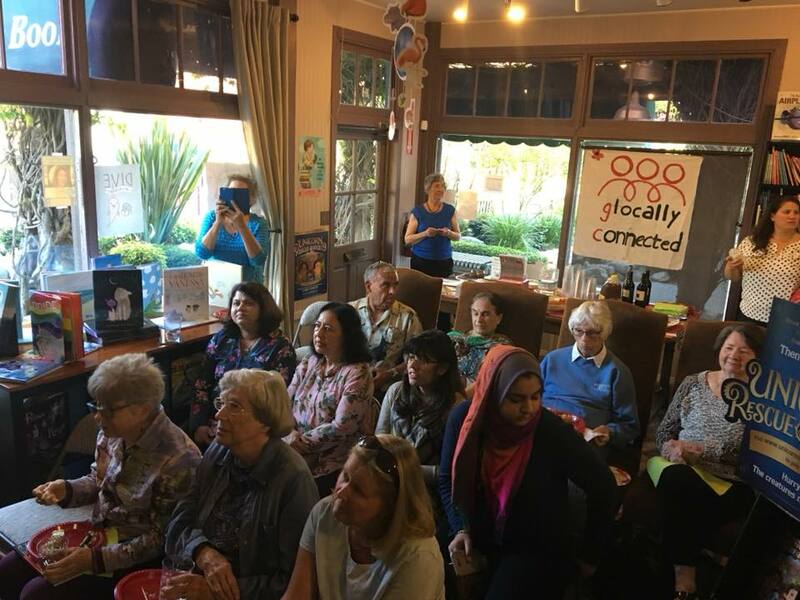 Cellar Door welcomes these women and children in reading aloud their poems, and sharing their culture through recipes and food. 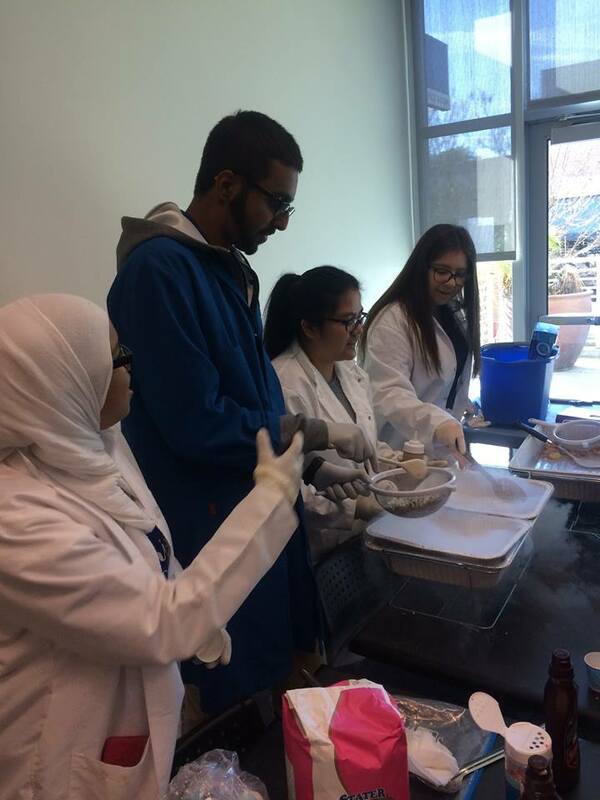 On January 21st, a group of Afghan and Syrian middle school and high school students and their parents were invited to UCR for an introduction to student life. Thank you Raghad for initiating this amazing event along with the Empowered Arab Sisterhood, the Middle Eastern Student Association, Science Ambassadors, STEM Academy students and faculty, the Refugee Empowerment Project and Glocally Connected. If you’ve ever moved to a new community you know it can be tricky to find your way. That is, to find your way to the best supermarket, to find a good family doctor, to find the best place to live, and, most importantly, to find community. This past summer at Glocally Connected’s ESL Summer Program, we started to create a quilt. Each child was given a 5 x 5 square swatch of fabric and a marker. 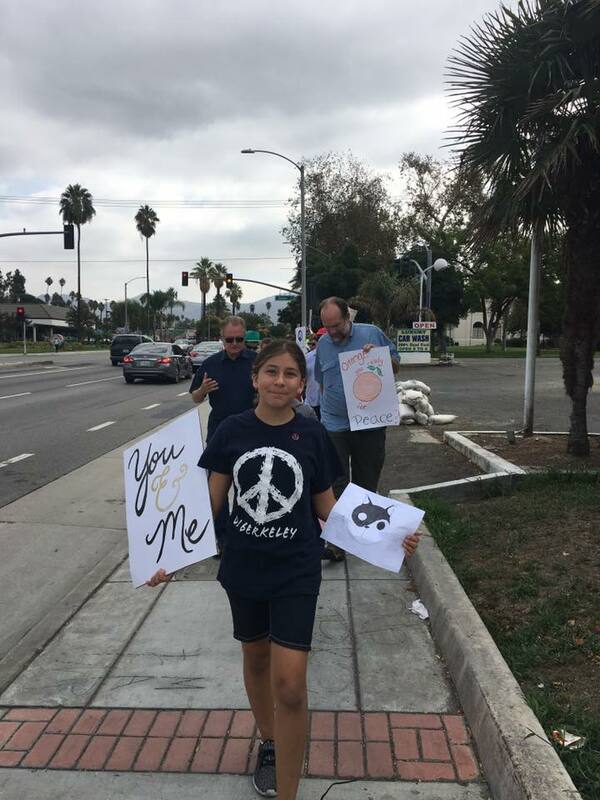 They were given quite a bit of creative freedom but were asked to share what peace meant to them or to draw something that symbolized each of them. Soon images of birds, hearts, happy stick figures and the flag of Afghanistan were produced. We started pinning these mismatched and colorful images together. Next, the moms started making their swatches. Messages such as “ I love peace” and “I love Afghanistan and America” were written on the colorful pieces. 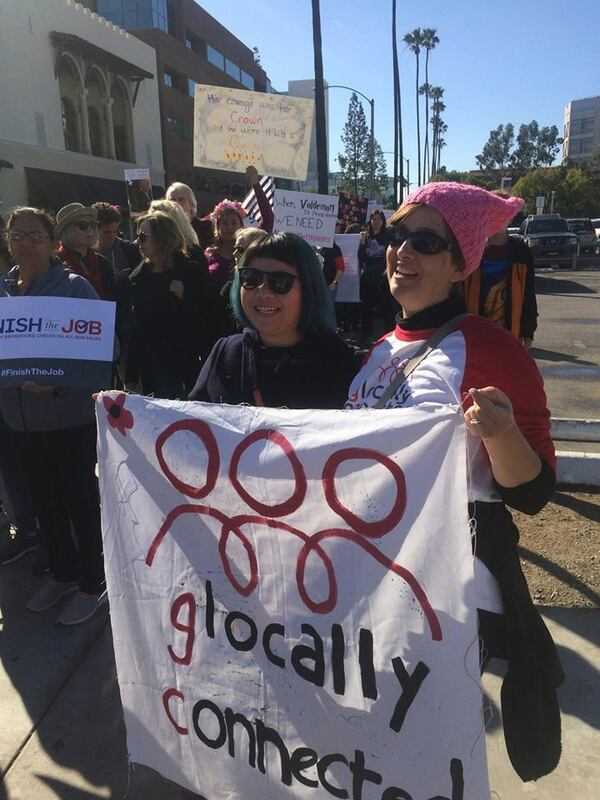 Then, our volunteers and the organizations supporting Glocally Connected added their part to the quilt. 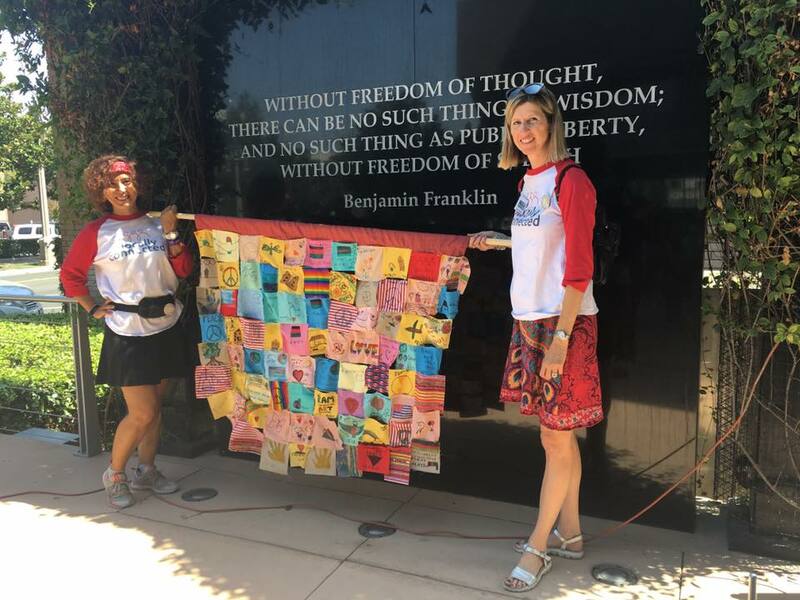 At our Annual Peace Walk we invited community members to share their message or image and the quilt grew. The following weekend, at the launch party for “A Taste of Afghanistan” at the Riverside Art Museum, 2 large quilts were hung. The newcomers were pleased to see them and to see how they fit into of a much larger community. The quilts celebrate our diverse and beautiful community. 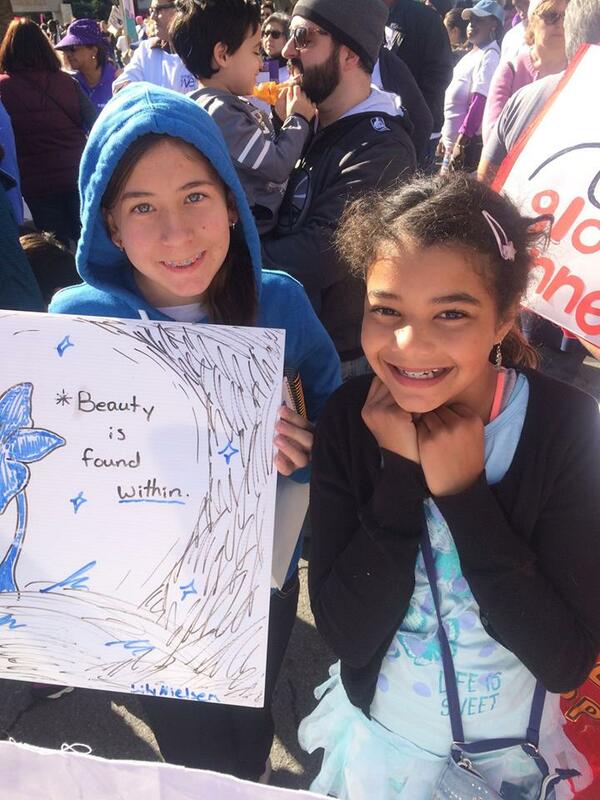 They will continue to grow and remind us of what it means to be a part of this community. We hope that you will be a part of it too! It was a sunny Sunday afternoon. We loaded the community quilt into the car and headed for the Riverside Art Museum where the launch of our new cookbook “Taste of Afghanistan” would take place. The Afghan women and children that contributed to the book was ecstatic. To see their work in print tickled them pink. In fact, thanks to a program at CSUSB, and Inlandia Institute, we were able to put together this marvelous cookbook that was filled with taste and tradition. The Afghan refugee women took English classes learning to describe recipes in English while their children were involved in writing poetry and drawing and painting. We gathered all their hard work and, voila: ‘A Taste of Afghanistan’ came out. One by one the guests started arriving to the Riverside Art Museum for the launch. 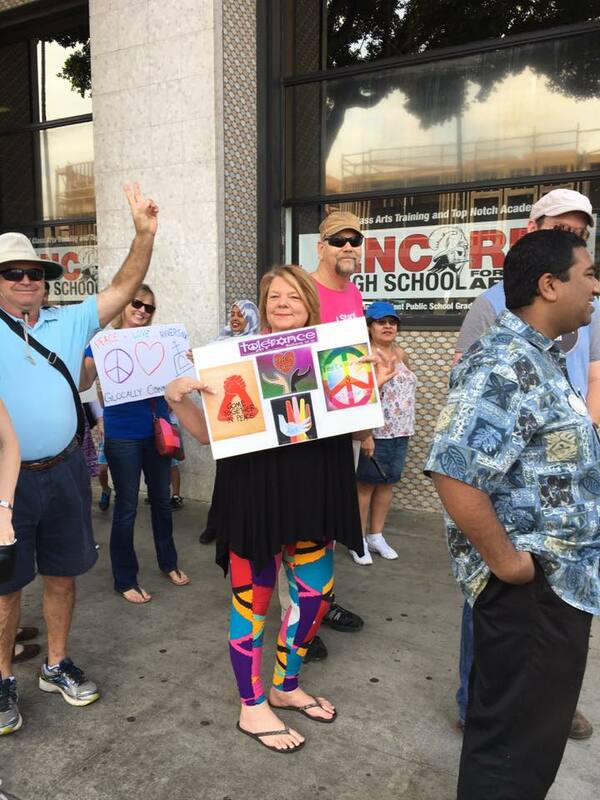 It was such a mixed crowd that people had a hard time trying to figure out who is a refugee and who is not. That was absolutely perfect. A community event with neighbors, and residents of the town supporting each other. 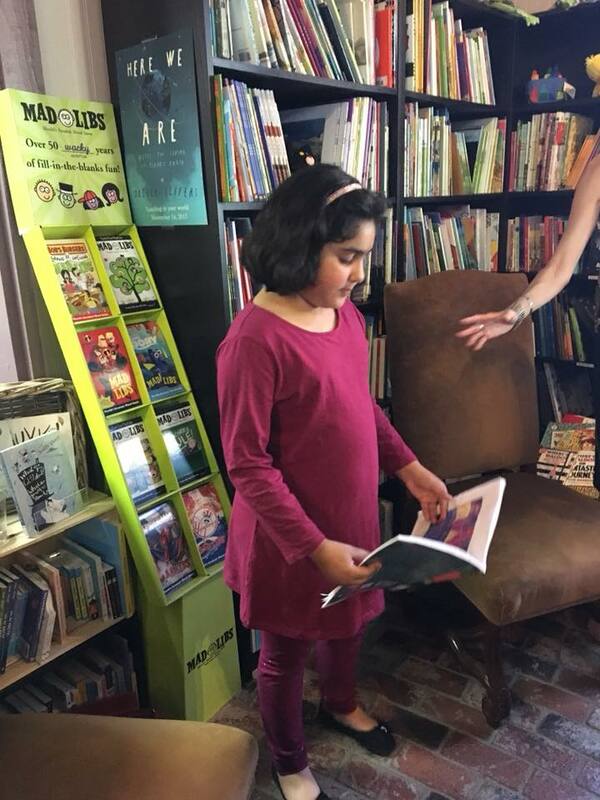 In fact, when people purchased books, they were looking for the “authors” to sign their books, not refugees. The Afghan women were beaming with their colorful scarves and the children were proud to see their work printed in a book. Some of the women had just learned to write their names in our English classes, and there were plenty of opportunity to practice that because all 100 books that were printed got sold and most buyers wanted their books autographed by the owners of the recipes. There were Afghan snacks, samosas, cookies with black sesame sprinkled, and of course baklava to taste for the guests. People were chatting and enjoying the snacks when we decided to talk about the program and thank some of the contributors. A little Afghan girl sang a song and conquered all the guests’ hearts. 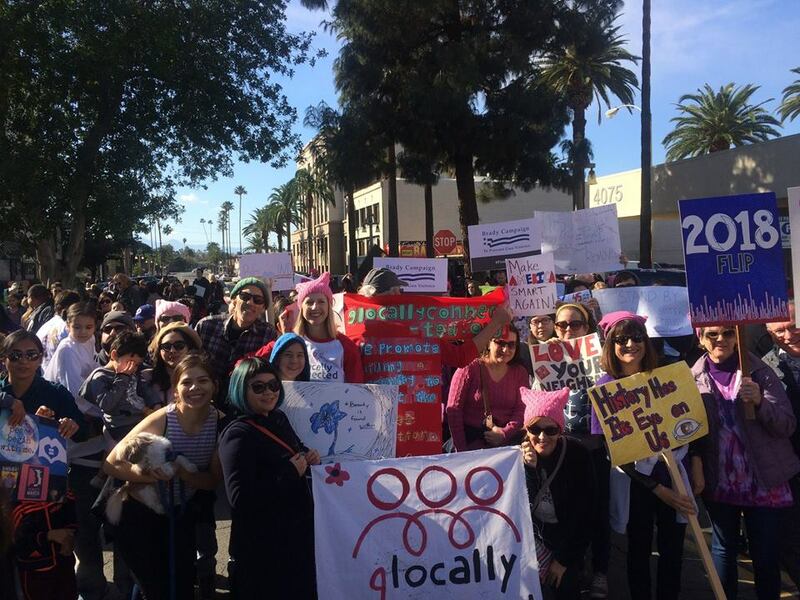 This event was certainly an example of how our communities should get together and celebrate and support each other’s accomplishments and share cultural qualities. 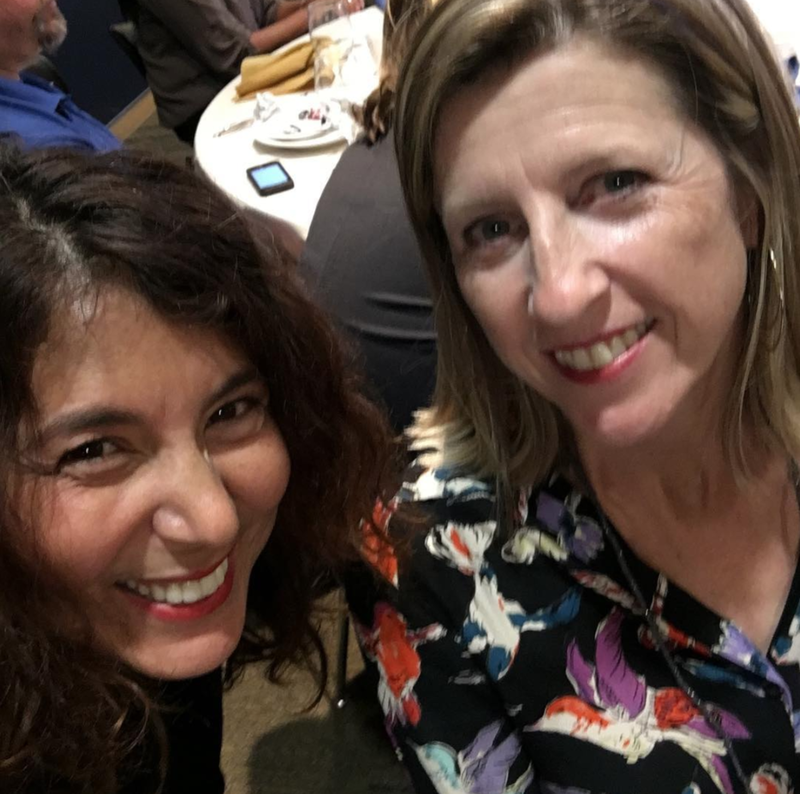 Join Sherry Mackay, Co-founder and Director of Glocally Connected and Caryn Marsella,RAM Director of Arts Education who will share information about collaborative efforts between Glocally Connected and RAM to integrate refugees into our community through arts education. Riverside- a city of inclusivity and diversity; read how the community celebrated Iftar. Today is the last ESL class of the spring term. There will be a two-week break followed by the beginning of “summer school,” with an extra hour of class and programs for all of the children now out of school. Saying goodbye to my new friends on my last day of volunteering for a while felt like the last day of school but without any of the excitement—I am just going to miss them! 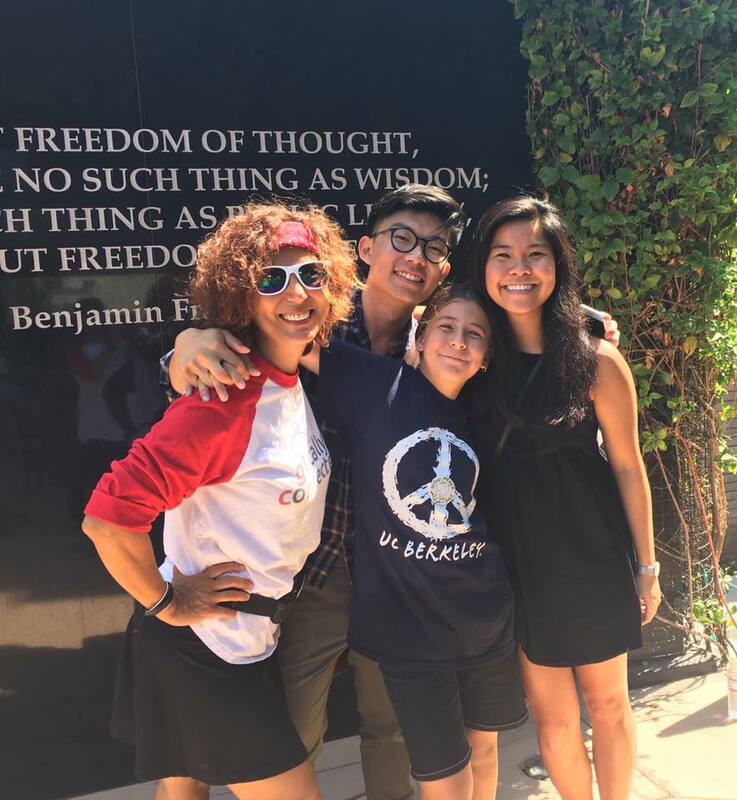 Many of us start volunteering out of concern and a conviction to support refugee families, but we continue because we love it and don’t want to miss being with the friends we have made. Since I started volunteering in January, I have made many new friends and seen them each learn and grow—their English is better, they are more confident, they are earning money, and they are truly a part of a community, both the Glocally Connected community and the larger community of Riverside. I grew up in Riverside, and this has always been my community, but as our Congressman Mark Takano told one of the students when he met her at the Sahaba Initiative’s Iftar last month, our community is stronger for having refugee families here. That iftar, and the one the women are cooking and planning for this coming Saturday, are just two examples. 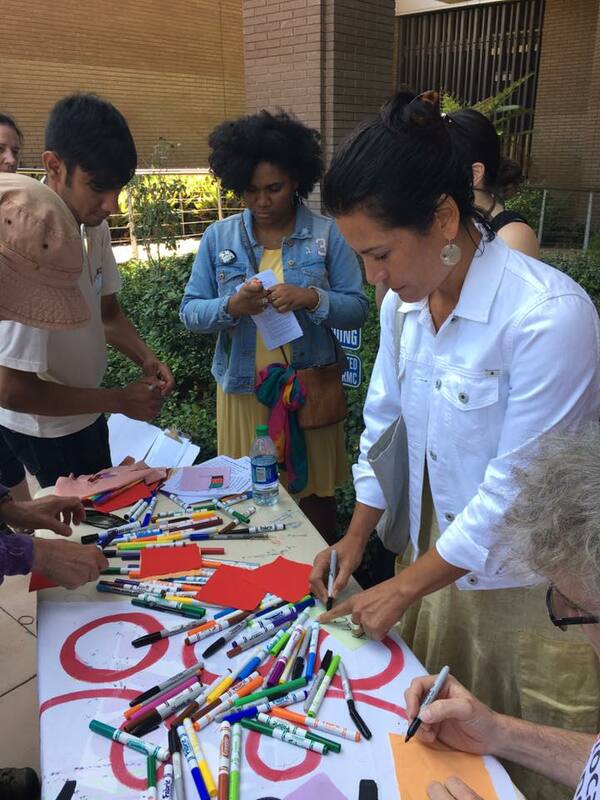 There’s also the International Day of Peace event in September, where I first heard of Glocally Connected, the Alternative Gift Fair, the Peace Vigil, the Riverside Art Market, meals at First United Methodist, making lunch for the homeless. I sat with two of the families at the interfaith service at Temple Beth El in March. Three families came to the Sweet and Sour event at the Citrus State Park and shared citrus stories all the way from Afghanistan. They truly are a part of this community. 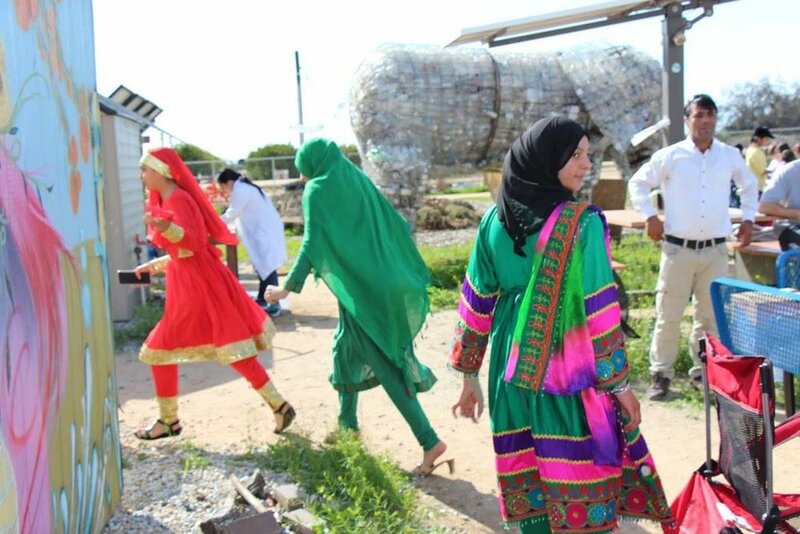 That’s a testament to Sherry and Selin and the organization they’ve built, but it’s also a testament to the women and their bravery in being here and courage in taking steps to make it a home for themselves and their families. I have thought a lot about “home,” and place and community as I have gotten to know these families and tried to welcome them to my hometown while knowing just a little bit about theirs. After class one week I was walking to my car with my cousin, her two sons, and one of our new friends from Afghanistan when two-year-old Elliott pointed up at the bright blue sky and exclaimed, “Look! An airplane!” We looked up with him, then Farishta told us when her kids see planes in the sky, they say “Afghanistan,” remembering their long journey from their home there to their new home here. 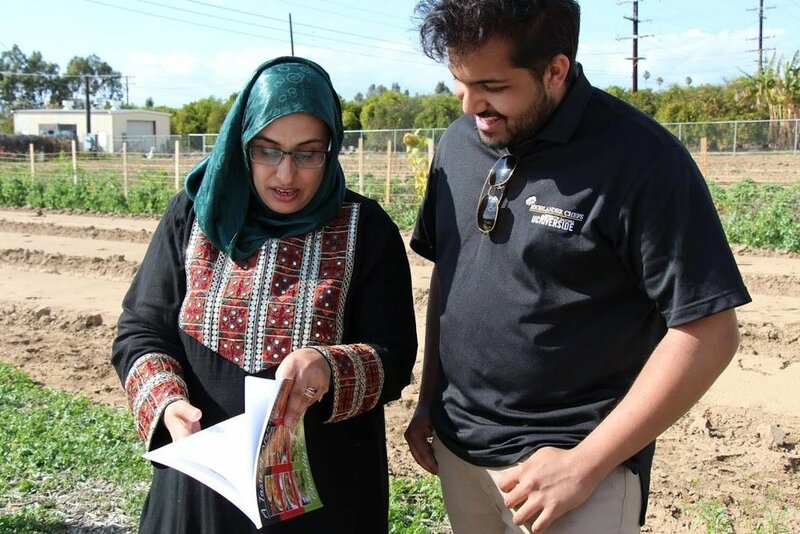 A few weeks earlier, I had been driving Friba and Shabnam to class and pointed to the snow covered mountains, glistening on this sunny southern California day. Friba said when she sees them, she thinks of the mountains in Afghanistan. 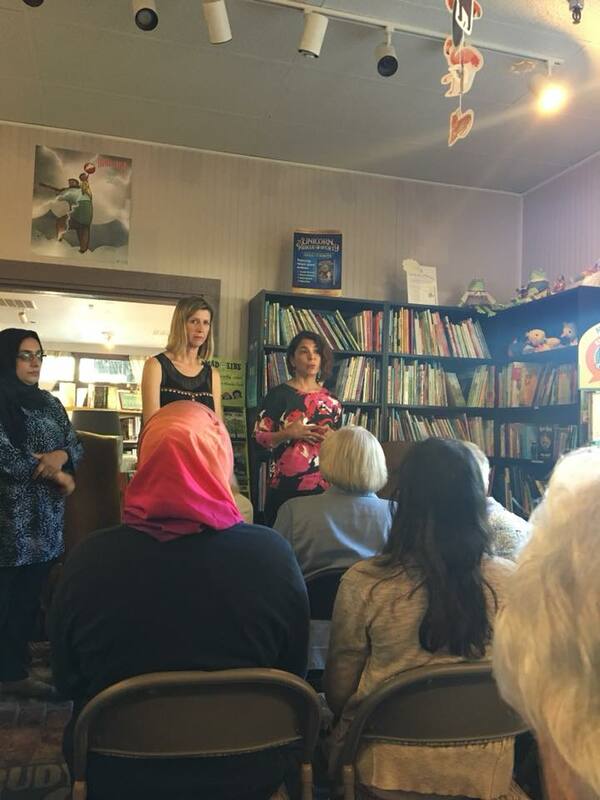 The day I met Raudnaur, a Syrian refugee, I was overwhelmed thinking that the day before she had been in Turkey, and a short while after landing at LAX, here she was—here we were—in a room in a church I had driven past for years, women from Afghanistan and Syria and Turkey and Canada and Taiwan and Riverside. Talk about “glocally connected.” And in spite of everything, we were laughing a lot! When we celebrated the New Year at Fairmount Park, where I used to feed the ducks when I was a kid, I looked at the women I had met and their families spread out on picnic blankets, and at my brother talking to their husbands and my mom holding their babies, and I thought to myself that I was glad we were all there. Now I have a painting of a park in Afghanistan done by Shabnam’s son, here in the United States for just under six months, and I imagine, someday, maybe, somehow, I can visit Afghanistan with my friends and they can show their Fairmount Parks and the places they call home, because I am so glad they are part of the places I call home. The circumstances that created the refugee crisis and the political rhetoric exacerbating it are ugly, the worst of humanity; the love, courage, and community shown in the midst of it are beautiful, the best. It’s the only thing that has gotten me through this year, and I can’t wait to be back in school with my friends.